Norfolk on the east coast of England is a popular holiday destination with a huge range of holiday accommodation and popular attractions and things to do. These include the Norfolk coastline, with its beaches and wildlife, the Broads and Sandringham. The county of Norfolk on the east coast of England, is a ideal holiday destination as it offers miles of unspoilt coastline, beautiful countryside, forests and heathland, nature reserves, walking and cycling routes and quaint seaside resorts. The main towns and villages in Norfolk include Norwich, King's Lynn, Great Yarmouth, Downham Market, Dereham, and Swaffham. There are also a great range of smaller villages and holiday resorts including Burnham Market, Hunstanton, and Wells-next-the-sea. There are many things to do and places to see in Norfolk, including many stately homes, such as Holkham Hall, Houghton Hall, Blickling Hall, and of course Sandringham, the Queens residence. A major attraction of the area is the North Norfolk Coast. The North Norfolk offers miles of glorious beaches and seaside communities to explore. Some of the coastline is designated as an Area of Outstanding Natural Beauty. It is also a fantastic places for seeing wildlife, including the seals at Blakeney Point . 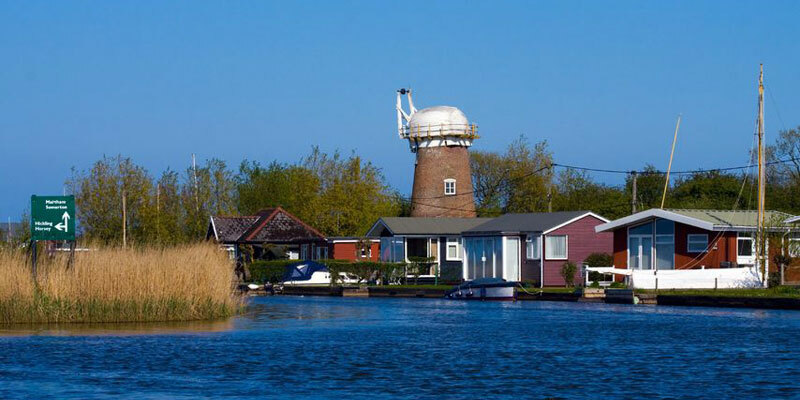 Another popular area of Norfolk is the Norfolk Broads. They are man-made Broads with over 125 miles of navigable lock-free waterways surrounded by stunning countryside and picturesque towns and villages. As you would expect, Norfolk offers a range of holiday accommodation for visitors, from 5 star hotels, to numerous high quality bed and breakfasts and guest houses, and also plenty of well equipped self-catering holiday cottages.